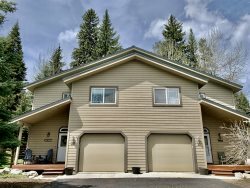 At McCall Idaho Vacation Rentals we understand the reason you are coming to McCall is to enjoy this beautiful mountain town and all that it has to offer. We can help make your time here more enjoyable by taking care of the details before your arrival. From stocking the fridge, to shuttling you from the airport, to booking your spa day or snow cat skiing or fishing adventure, we are here to help. We enjoy living and playing in McCall and can direct you to the activities that you are searching for. Let us assist with any preparations or reservations needed so all you need to do is show up. If we can’t help you ourselves, we’ll put in touch with someone who can. If you would like to peruse all that McCall has to offer, check out the McCall Chamber of Commerce website for area information and local businesses.